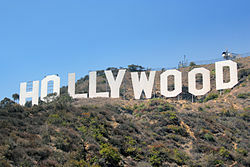 In the early 1950’s, the motion picture industry suffered from the effects of an excise tax passed during World War II. Interesting enough, the film industry produced a film calling for the tax repeal on the assumption that the tax hurt their industry bottom line and cost jobs. The film featured industry leaders to those who worked in the theaters, including the ticket collectors talking about how the tax hurt them. The message to the public was that this tax reduced tax revenues, cost jobs and if repealed, would lead not only to increase government revenues but more economic growth. Name the last time a Hollywood big shot or even very highly paid actor managed to say, “Hey, higher taxes are costing us jobs.” Probably not since this tax was repealed. Hollywood discovered the Laffer Curve before Laffer did. In this 22 minute film, charts and personal testimony make the case that tax reduction can lead to both economic growth and jobs. One chart compares those industries that are not burdened by the 20% excise tax with the movie industry, and showed that while the movie industry suffered losses in revenues, other industries profited. The film pointed out how many towns were losing their theater, and one small business owner lamented how his business and others suffered since the theater closed down in his town. As he noted, his own mother would no longer come to town in the evening since the theater was closed. With the theater closed, there was little to attract people to downtown Main Street and spread the wealth among other businesses. The film showed how the tax did not lead to more revenues but less as theaters closed and there was less revenue to tax. They made the supply side case that a lower tax revenue actually could produce more revenues while reviving the industry. As one individual noted, Hollywood was not asking for special treatment but an elimination of a tax that the other industry did not pay. Could this be Hollywood making the case for a simpler tax system with lower rates for all? In 1953? Today, Hollywood is a playground for Democratic fundraisers and Obama has found that Hollywood remains loyal to his vision and re-election. While those on Wall Street are having second thought about the guy they helped put in the White House, there are no second thoughts among Hollywood elites. Instapundit Glen Reynolds made the suggestion that if we are going to raise taxes to cut the deficits, why not start with a 20% excise tax on the film industry? Since many of these Hollywood stars and producers are forever telling us how we need tax increases to help close the deficits, why not let Hollywood lead the way? The tax, which was imposed on the gross income and not the net, took a 20% hit off any Hollywood bottom line and can you imagine how much a major star can contribute with a 20% tax on a gross income on one of those 10 to 20 million dollar salaries for a single movie? Let face it, much of Hollywood may talk of the down trodden, but the reality is Hollywood is the home of the 1%. So if the Hollywood 1% are going to help elect the most leftist President, then let them lead by sacrificing the first 20% of their gross income!. As Glen Reynolds argued, tax the Hollywood 1%. Or at least let them squirm. Who knows, maybe George Lucas or Steven Spielberg might just produce their own film defending supply side economics if they are faced with the idea that the first 20% of their income will go to the government even before they even cash that big eight or nine figure check!